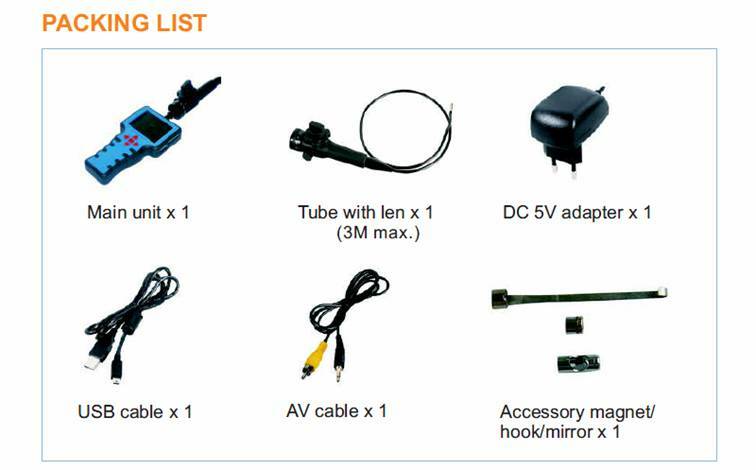 Articulation Endoscope Specification with 2 way rotatable probe is innovative product of LCD borescope. 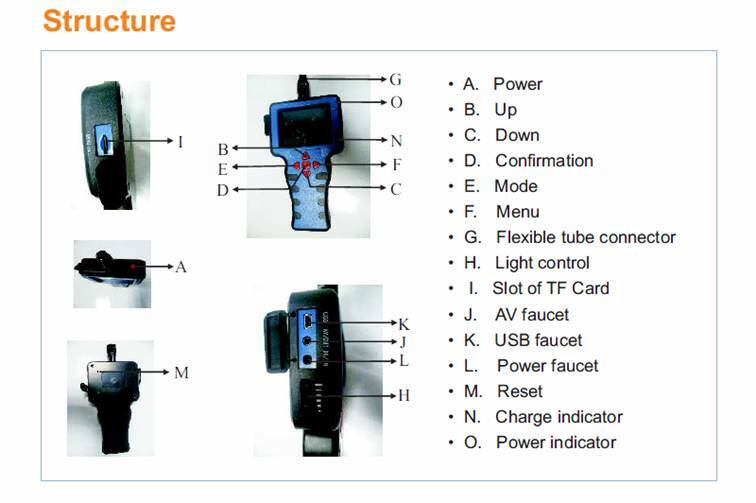 Besides many advanced functions of its original one such as quick snap, quick video recording, image zoom in /out, storage a new function of front probe two-direction bending is added(you can revolve probe 180° to R or L direction, then revolve F to fix adjusted angle )The probe itself also allows a 120°revolving across its two directions. The design allows the user to adjust the observation angle amid the observed object making operation more easy and more convenient. 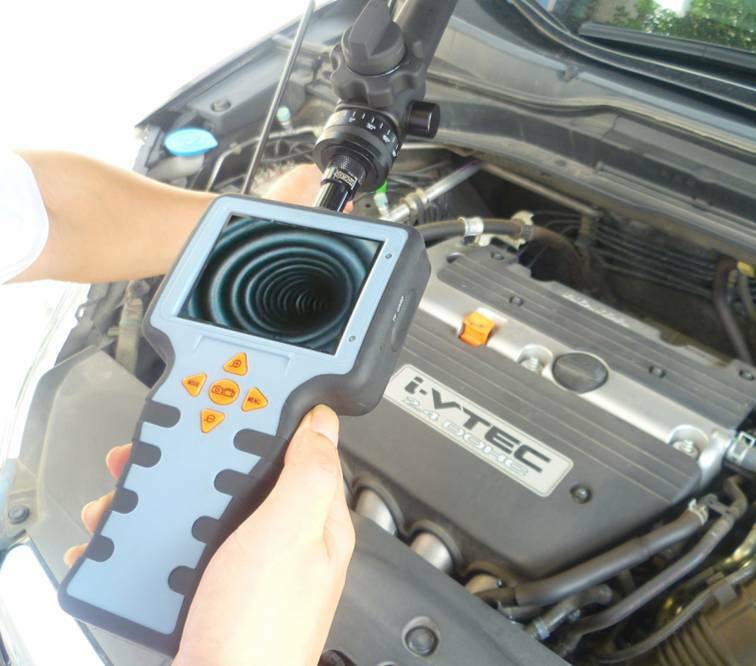 The product has great practical value and applicable prospect in many fields such as automobile cylinder detecting and casting process detecting. It has built-in 4pcs white LED light (with Brightness Control) on camera head to illuminate the inspection area. The 1 m Flexible tube is Waterproof with 5.5mm diameter , so that you can inspect area under water, gaps and holes. 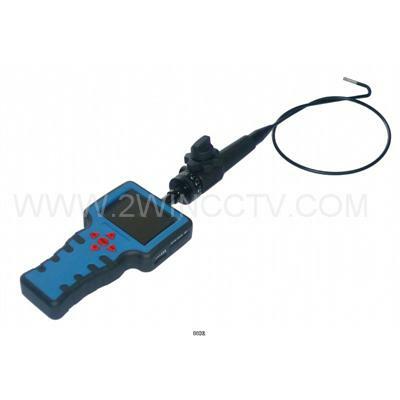 Optional Cable (2m/ 3 m) allows you to extend the vision of inspection point. Function: photo, video, self timer, memory, Playback, etc.